The Tinth Anniversary has unveiled the largest UK's mechanical puppet in the form of the "Man Engine" which is the size of three double decker busses. This huge steam powered engine is making it's way though the Cornish mining heritage sites to celebrate the Tinth Anniversary. 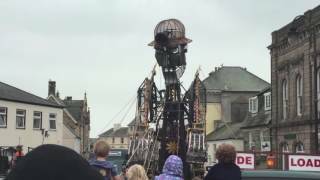 After setting off on its journey Monday morning from Tavistock the Man Engine arrived in the town of Liskeard yesterday afternoon with crowds of people waiting to see the engine transform. A 12 metre high steam-powered giant who will quite literally stride the length of the Cornish Mining Landscape over the course of two weeks. Until the 6th August the Man Engine will be traveling step by step through Cornwall literally crawling as it visits towns in the Duchy. It will stop at ten world heritage site mining areas where he’ll transform to his full size wowing the hundreds of people who are expected to turn out and see the engine. 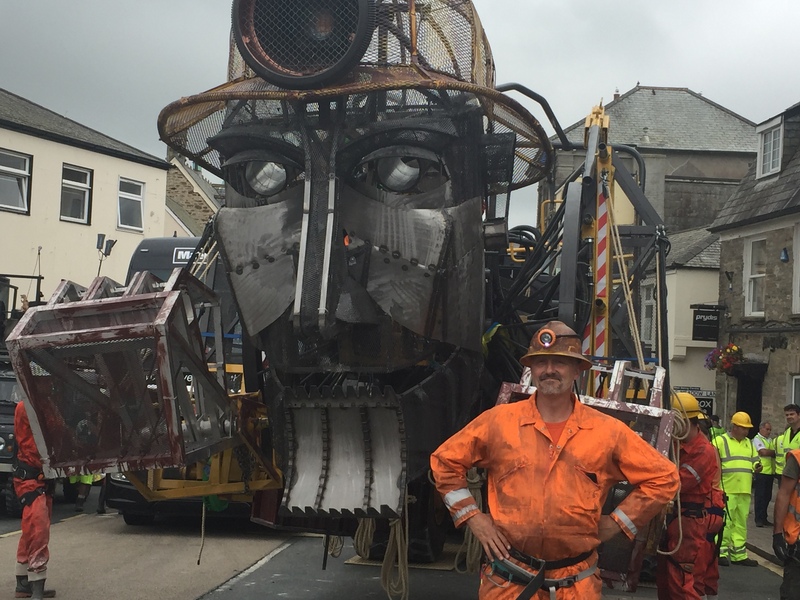 As the puppet was revealed to crowds of people in Liskeard, many were quick to say how wonderful this is for Cornwall and what a fantastic way to celebrate the history of mining. Will Coleman from Golden Tree Productions is the creator of this enormous project and couldn’t be more thrilled with the response he has so far had from the Man Engine.